Vote For Your Favorite Fish! Who will you vote for? Will it be the beautiful, feisty Betta fish; the friendly, loveable Goldfish; or the exotic, loyal Angelfish? The Betta Fish are little characters! They recognize their owners (pet parents) and they even are known to do a happy little “dance” as you enter the room and get closer to their tank! They are fascinating to watch when they puff out their gill covers to intimidate a rival or when courting a lady betta. Bettas have an amazing form of nonverbal communication: If they are stressed or frightened, they will show horizontal bars; and if they are flirting, they will show vertical stripes! The males are the guard dogs of the fish world. You must give them a place to hide even when there is no threat and this will become their territory to defend and so they may become very possessive of it and aggressive towards any trespassing rivals. This is why the gorgeous Betta Fish normally does best in his own tank by himself. He does like to have neighbor Betta Fish in a tank or two next door so he can have some company when he is ready. Once he has settled into his habitat and feels secure there, he is a very friendly and even loving little fish as long as you follow the care rules specific to Betta Fish to keep him healthy and safe. Vote Betta! Everyone knows of the familiar Goldfish! He is a part of fish lore in books, movies, and television shows possibly more than any other fish! Goldfish are smarter than many people give them credit. 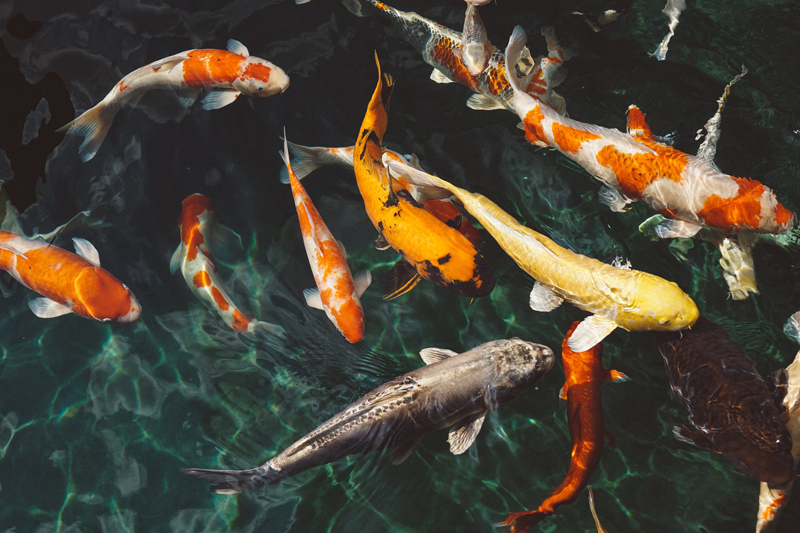 It is amazing that scientific studies have shown that Goldfish have strong associative learning abilities, as well as social learning skills. Pet parents of this visually acute fish will notice that their Goldfish will be happy to see them, while hiding from other people. Goldfish can distinguish between different humans. Even blind goldfish recognize a particular friend or family member by voice or vibration of sound. If you are going to have goldfish, that’s pretty much what you will have because they really only work together with other goldfish and you even have to take care in mixing different breeds of goldfish (There are many.). It’s worth it, though because they are easy to love! Vote Goldfish! Angelfish also have those long, flowing, lovely fins and so the rule of “Big fish eat little fish” can apply to them. There are also smaller, aggressive fish who like to nip at their fins. One fantastic and really sweet and heart-warming thing about the Angelfish is their loyalty to their mate. Angelfish actually pair off and form long-term relationships in which each one protects the other from threats and potential suitors. If one of the mated pair dies or is removed, the remaining mate will refuse to pair up with any other Angelfish. This type of fish is only for advanced aquarists due to the detailed maintenance required for proper health. But, you’ve gotta love a guy that faithful! Vote Angelfish! Go to our Fish Forum here on The Fish Site at BellaOnline.com to post your vote on the Vote For Your Favorite Fish thread! Remember to get out there and vote! Your vote counts! Your vote makes a difference!